CITES Non-detriment Finding — Pro-vision Reef Inc.
Coral reefs are some of the most biologically rich ecosystems on earth. Keeping an aquarium helps people to better understand them. 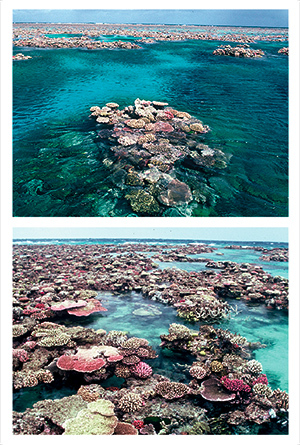 The Non-detriment Finding assessment for the Queensland Coral Fishery considered the existing framework of assessment of species vulnerability and ecological risk. It appraised the framework as being capable of providing leading edge management practices, on condition of articulated improvements. The assessment considered data from a range of sources, including export records, Annual Fishery Reports and fishery logbooks. It considered 424 stony coral species and identified 18 species of potential concern on the basis of trends identified in the combined data plus various other characteristics. The assessment concluded that, subject to conditions, the existing assessment and performance measurement framework and industry Stewardship Action Plan provides confidence that the collection of coral species will not be detrimental to the survival of CITES-listed species. The conditions include a need to review the Species Vulnerability Assessment and Ecological Risk Assessment and revise the Performance Measurement System in 2013 to ensure that ongoing collection is non-detrimental. The report also emphasised the need for finer scale reporting. Meeting the Non-detriment Finding assessment conditions is a condition for ongoing export eligibility approval for the fishery as a Wildlife Trade Operation.